If he will accept it, I will ask John Bolton to be Secretary of State. But I will only appoint him if he will agree that his first job is the complete and thorough transformation of the State Department and the replacement of the current Foreign Service culture with a new entrepreneurial and aggressive culture dedicated to the proposition that defending freedom and defending America is the first business of the State Department, not appeasing opponents. Why does Gingrich harbor such strange antipathy for the nonpartisan, apolitical analysts in Foggy Bottom? 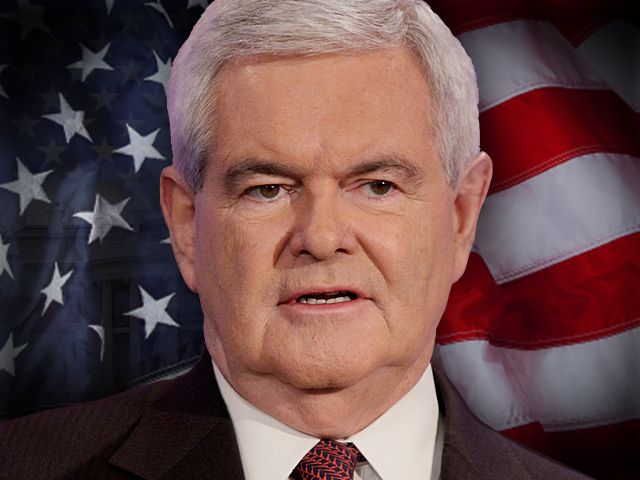 It is an often overlooked aspect of Gingrich’s history that he was a leading advocate of the disastrous Iraq War. In April 2003 he delivered at broadside against the State Department at the conservative American Enterprise Institute. (USA Today described Gingrich at the time as “a close associate of Defense Secretary Donald Rumsfeld and member of the Pentagon’s Defense Policy Board.”) The State Department produced honest intelligence assessments in the run-up to the invasion, rather than the politicized fear mongering about imaginary weapons of mass destruction and ties to Al Qaeda that the Bush-Cheney White House wanted. Secretary of State Colin Powell was also more cautious about invading Iraq than his colleagues in the White House and Defense Department. In June 2003 Gingrich wrote an article for Foreign Policy that scathingly attacked the State Department for failing to back the Iraq invasion. FP’s Josh Keating recounts that Gingrich’s piece “accused the department of undermining the Bush administration’s foreign policy and argues that it needs to ‘experience culture shock, a top-to-bottom transformation that will make it a more effective communicator of U.S. values around the world.’ ” As Keating notes, “Published just weeks after Bush’s ‘Mission Accomplished’ speech, the piece feels a like a bit of a relic of the short-lived triumphalism of the early Iraq war.” Gingrich’s recent statements suggest he has not rethought his discredited worldview. But Bolton would be the perfect candidate to carry out Gingrich’s proposed purge. He has already tried to do so in his previous tours of duty in State. (Bolton was assistant secretary of state for international organization affairs during Bush I and Under Secretary of State for arms control and international security during the first term of Bush II.) “Career people in the State Department who have served under [Bolton] just felt very strongly his involvement in trying to promote the most conservative and ideologically rigid Foreign Service officers and to ignore anyone providing information inconsistent with what he already believed,” says Laurenti. Bio: Ben Adler is an editor at The Nation. The opinions expressed in this commentary are solely those of the author.